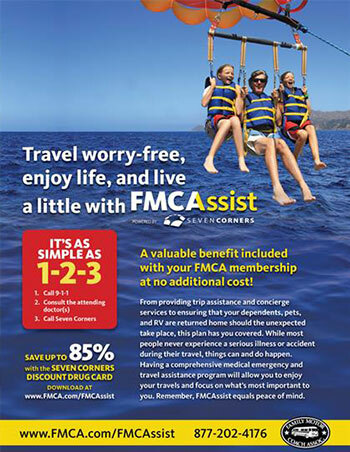 When you spread the word about FMCA and all the great reasons for belonging to the world's largest - and finest - RV owners organization, your RVing friends reap the benefits, and YOU receive some great free stuff, too. The rewards keep coming as you keep recruiting! 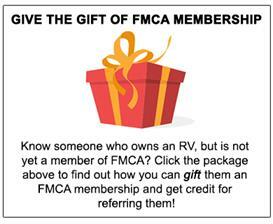 FMCA members receive a $10 voucher for each new family or commercial member they recruit. 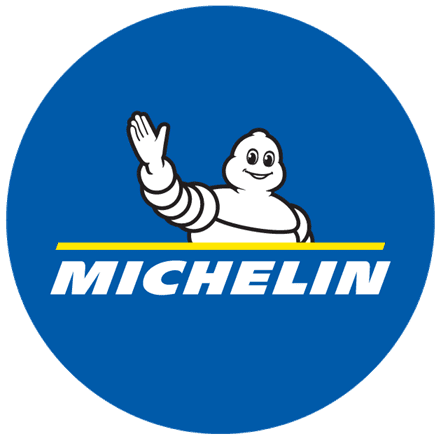 Members may use these vouchers toward payment of their FMCA membership dues, registration fees for FMCA International Conventions and area rallies, and business card orders. They also can be used to purchase FMCA logo merchandise. There is no limit to the number of vouchers that can be earned. So, just think: five members recruited = $50 in vouchers, which means a FREE year of FMCA membership for you - simply for sharing the good news about FMCA membership. 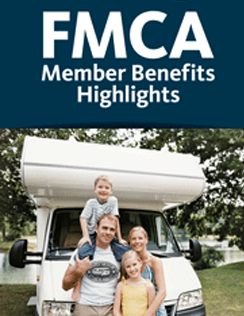 PLUS: Be part of the FMCA “Membership Club.” FMCA recognizes family and commercial members who have gone above and beyond to recruit new members. 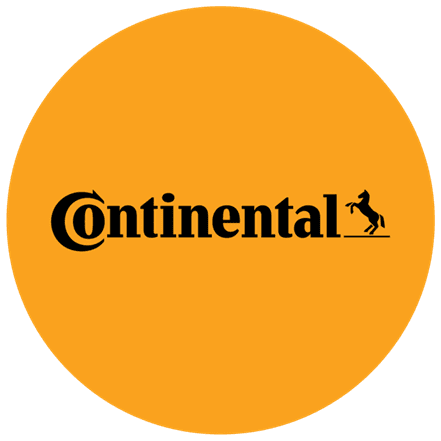 In addition to special mention in the January issue of Family RVing magazine, family members receive recognition in the form of lapel pins for reaching certain recruitment levels – 10, 25, 50, 75, 100, 125, 150, 175 and 200 members. And at the 100-member level, we will send you a custom-made, FMCA-logo watch! 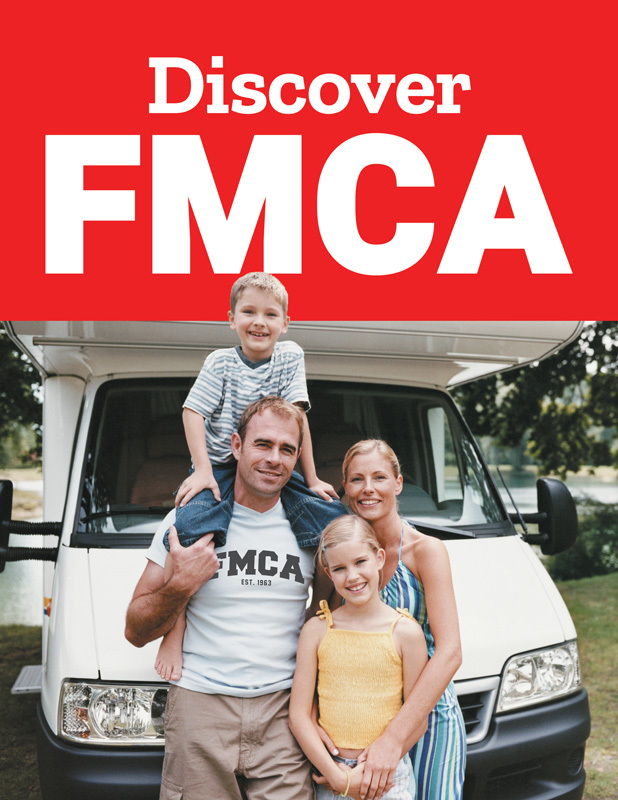 Since you never know when the opportunity to tell other RV owners or RV-related businesses about FMCA will present itself, we want you to be ready. 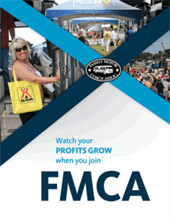 Below you will find our Family Membership Enrollment Form and our Commercial Membership Enrollment Form highlighting the many benefits of being an FMCA member. Take these with you wherever you go. And be sure the new members reference your membership number (e.g. F123456) when they join, so you can get the credit you deserve!